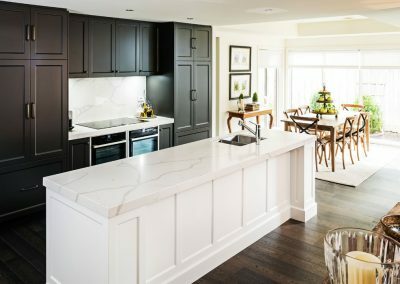 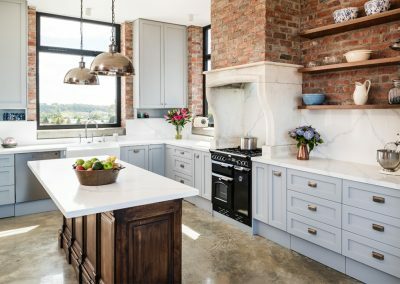 Smith & Smith Kitchens artfully designed and constructed this refined, elegant monochromatic kitchen with the best of classic design and the convenience of the new. 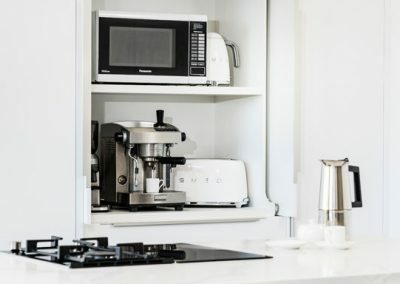 The layout utilises a neat work triangle and efficient storage solutions without compromising on style. 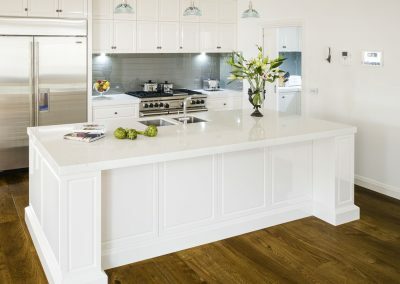 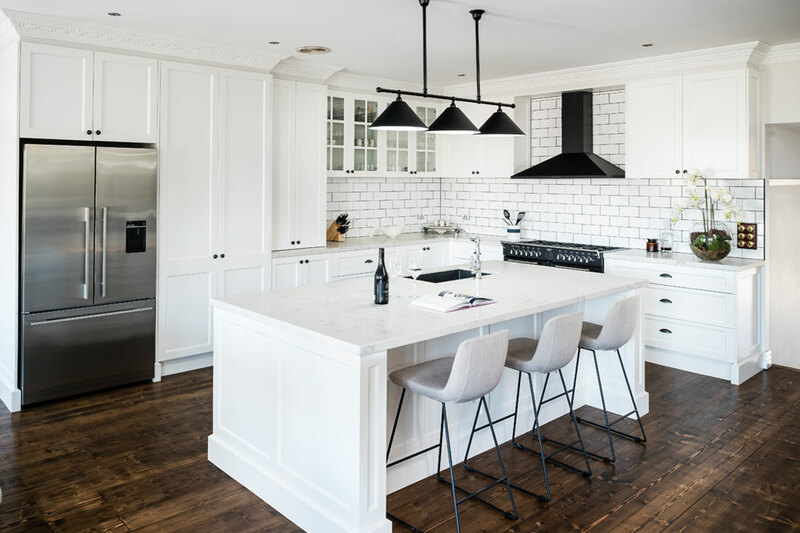 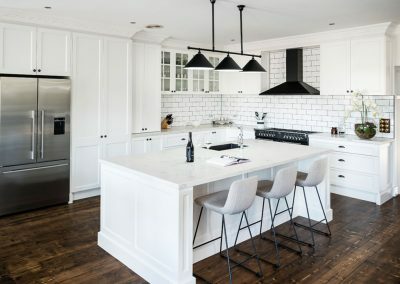 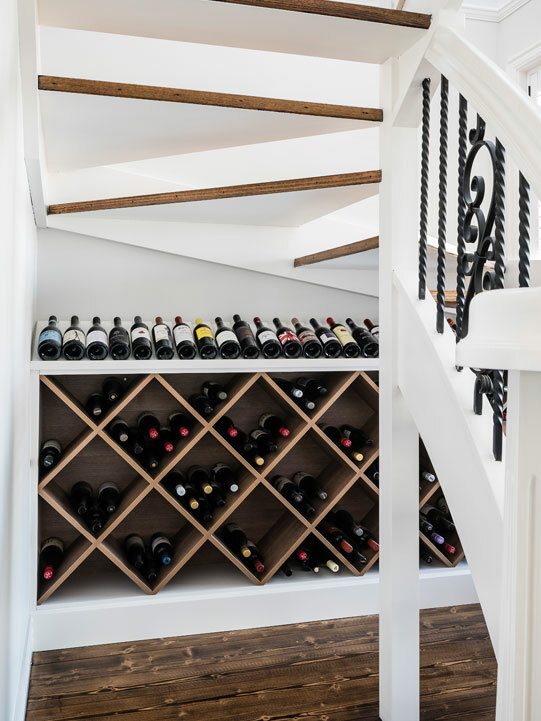 What began as dark, timber-heavy space was transformed into a light, fresh Hamptons-inspired kitchen that complements the Californian bungalow-esque home. 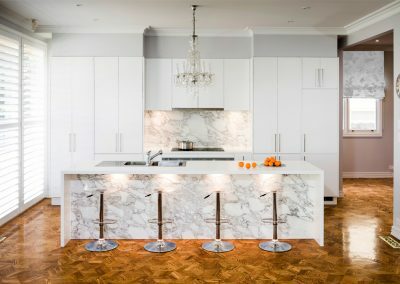 The brief for this project was to brighten and open up the space with an updated colour scheme and a change to the layout. 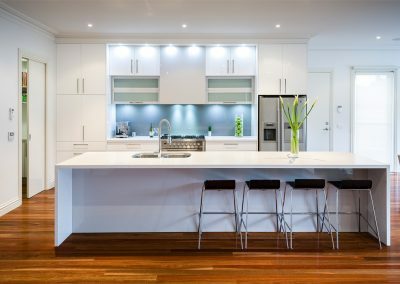 The existing obscurely-shaped island bench was replaced with a rectangular design to enhance functionality and provide a more contemporary look. 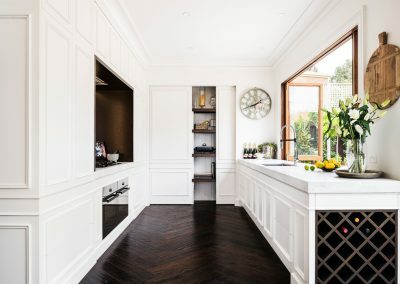 The placement and depth of the island bench was critical to ensure the plumbing of the sink and dishwasher would be completely covered over and no holes in the timber floorboards were left exposed. 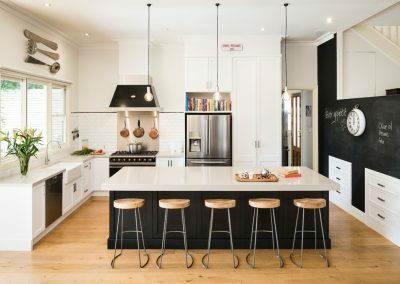 The clients were adamant about including a black freestanding cooker and rangehood combination, thus the kitchen design was inspired by this centrepiece, and focussed on complementing the era of the home while adding in a modern twist. 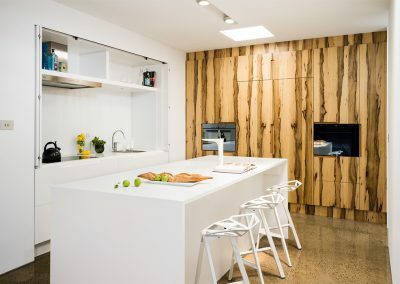 Due to the spaciousness of the room, accommodating these features was simple. 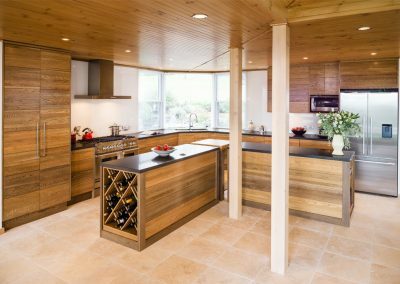 The resulting design was timeless and transitional, with all the modern conveniences of open-plan living and high-end appliances. 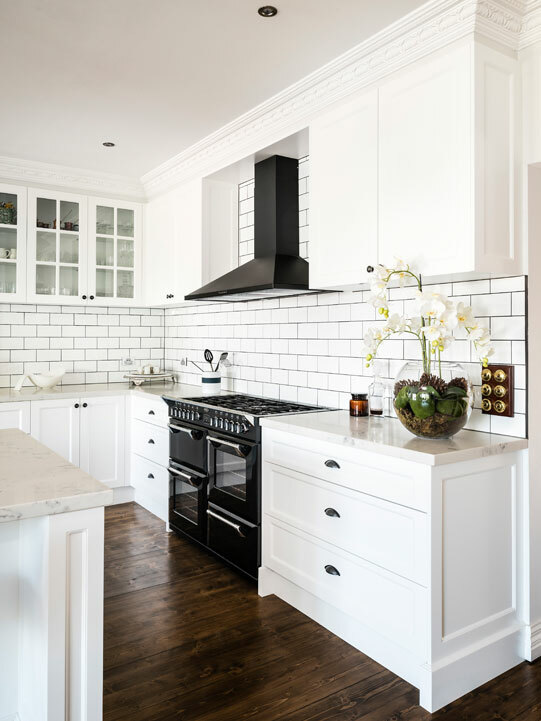 The Belling appliances featured in this kitchen are a modern take on the old style. 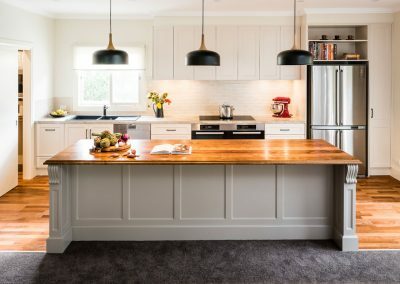 As the owners of this home love to have friends over for meals, their kitchen was intended as a showpiece for stylish entertaining. 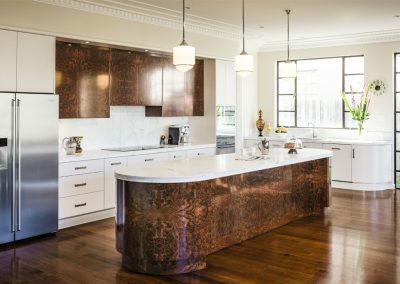 Smith & Smith Kitchens incorporated the essential elements for simple, enjoyable cooking to suit their busy lifestyle. 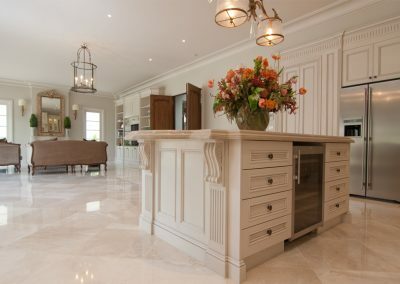 The universal style of the cabinetry ensures that this kitchen will be admired for years to come. 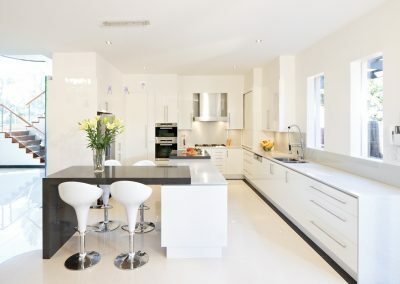 The Smith & Smith Kitchens flat-panel doors and drawers, including an appliance cabinet behind a bi-fold door, feature two-pack satin polyurethane in Dulux ‘Vivid White’. 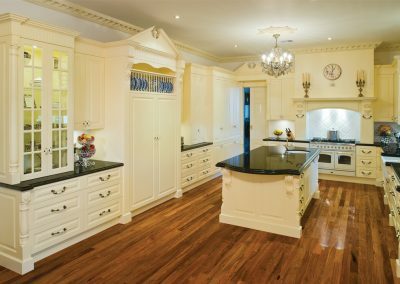 The ‘Antique Black’ Castella handles – shaker-style cup pulls for the drawers and fluted knobs for the doors – complement the classic style of the kitchen. 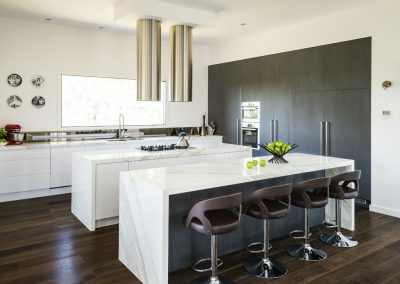 The Lithostone polished benchtop in Carrara Grey adds texture and depth to the space.